What Are Men's Cropped Pants? 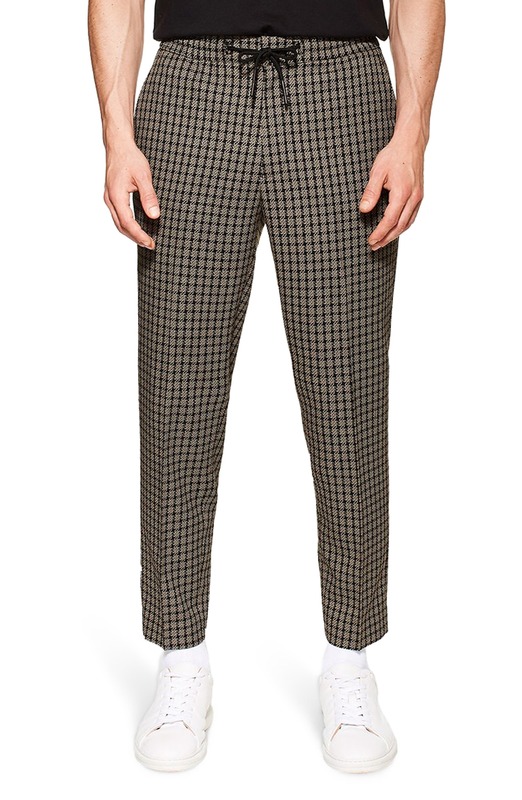 Are Mens Cropped Pants in Style? 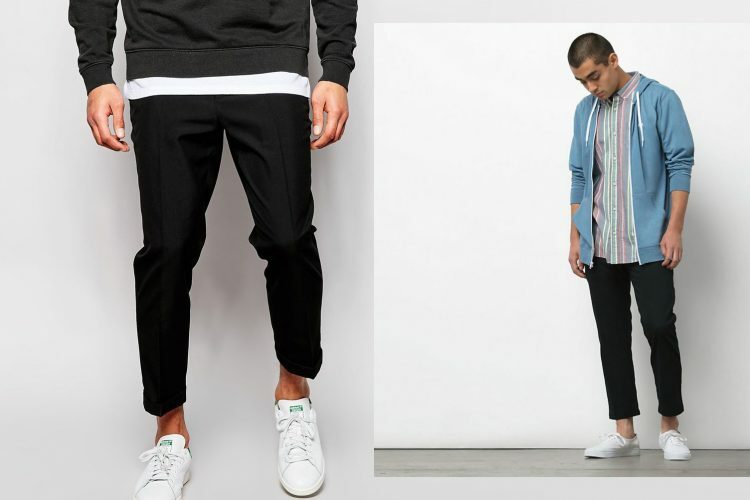 How Long Should Cropped Pants Be? 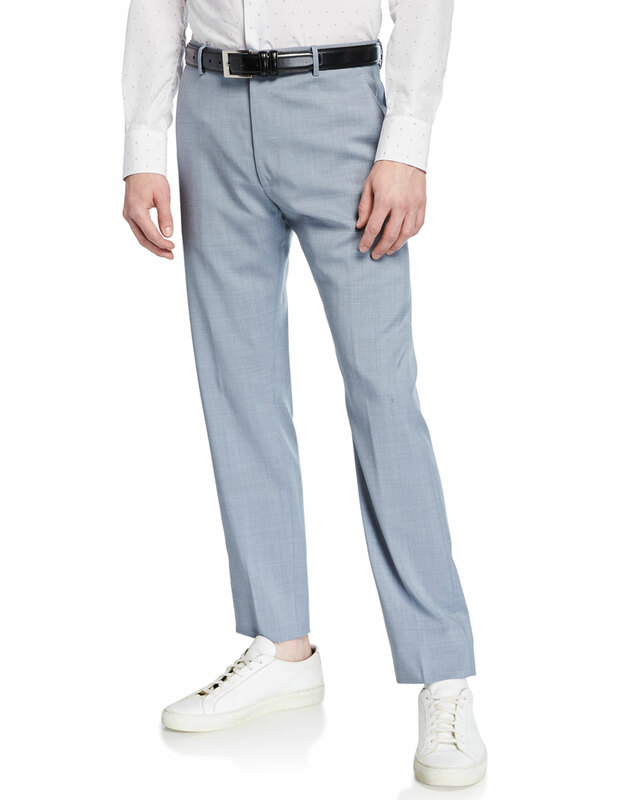 How Slim (or Wide) Should Cropped Pants Fit? 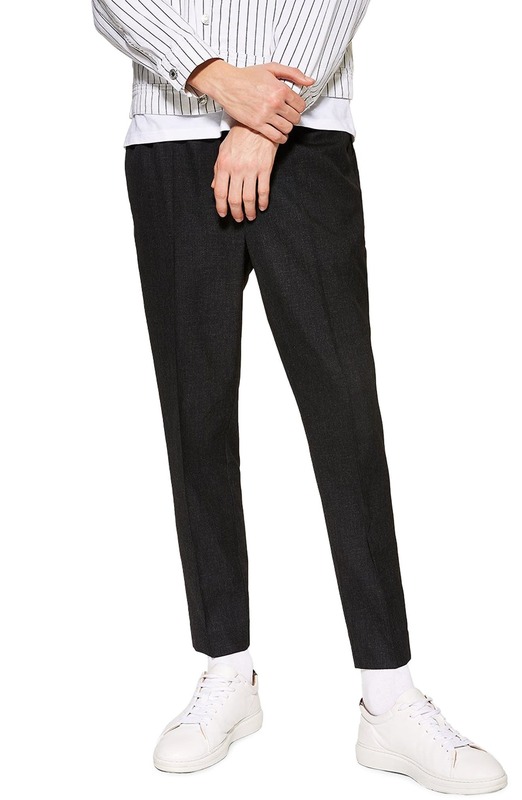 How Do I Style Cropped Pants? 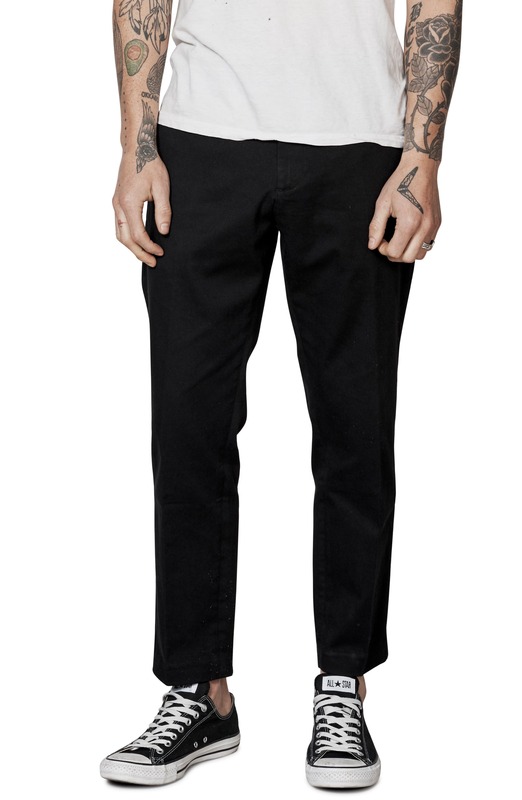 What Shoes Do I Wear With Cropped Pants? How high can you go? With menswear, you know what qualifies as a short and what you’d wear as trousers, but cropped silhouettes – introduced in 2017 and a constant so far – have thrown us a curveball. Do you think of them as longer shorts, or shorter pants? Or, do they exist in their own category with a whole new set of rules? Right now, cropped pants have carved out their own niche – one that’s part transitional, part variation on classic trend, and a third one of those try-at-your-own-risk trends. Before you just pick up any shorter pair of pants, however, know how to approach them first. The waves are calling, and you automatically roll up your pant legs, knowing that, if you wade too far out, the water will splash up, and you’ll end up with soggy, salt-stained cuffs. Cropped pants immediately bring up such imagery – or of someone right along the water’s edge, feeling the warm, soft sand between his toes. As such, casualness and sun-drenched seaside landscapes inherently run through its product DNA. Yet, there are clear boundaries between capris, cropped pants, and high-waters. The difference? With intrinsically feminine implications, capris traditionally fall at midcalf, if not somewhat higher, clearly approaching shorts territory. On the opposite end, you’ve got high-waters – or pants that fall too high above your shoes, as if you didn’t check the inseam. In between is the sweet spot. And, no matter if you opt for an intentionally cropped silhouette or roll up your chinos, it’s at least three inches above your shoes and below mid-calf. Within these boundaries, you’re gold. On the subject of capris, look at how yoga pants fit, and for men, the closest equivalent is a set of compression tights. 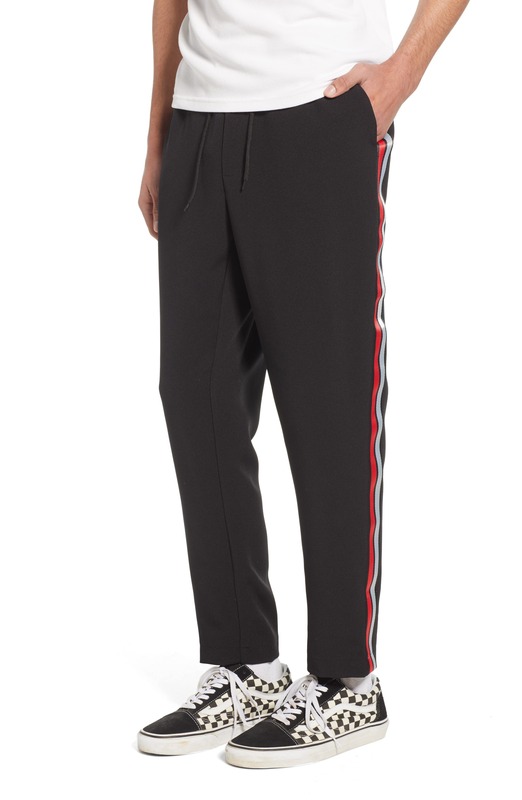 Working out, you’d clearly put a set of running shorts on top, so why should your actual pants be any different? On the opposite end, wider cuts have been having their moment. And, while we’re at it, they veer very closely toward cropped territory. 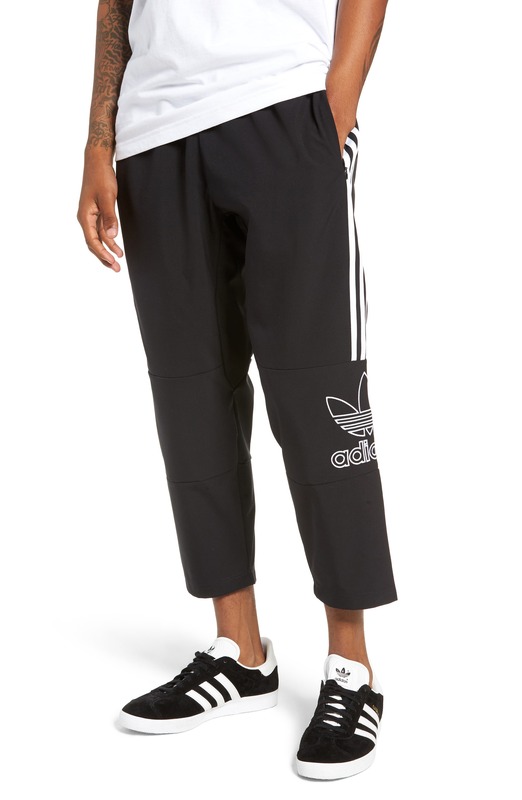 But, oversized pants falling four inches above your shoes doesn’t come off as trendy or innovative – instead, like you didn’t put in the effort to find the correct size. In short, it’s awkwardness that tailoring can’t even correct. For a good fit, think skinny or slim-cut jeans – close to your body but with some space to move. Nothing should be tight, but a little too spacious, and it looks as if you’ve been wading through a creek. Essentially, if you could take a standard pair of chinos, and just cut a few inches off the end, that’s what you’re aiming for. These days, a man has choices. You can opt for embroidered or studded embellishments along the outseam and around the pockets. Or, any number of colors, patterns, and finishes are right at your fingertips. Floral-patterned jeans with a lightly glossy finish? If you can pull it off, why not? However, these “extras” all come with the assumption you’re working with a classic silhouette. Cropped pants, by contrast, don’t have this longevity. Up until a couple of years ago, a guy would’ve gotten the side-eye – or at least a muffled smirk and some gawking – for trying to pull something like this off, so, in the present, it still seems like a novelty piece. As such, the cut and height are already breaking new ground, and there’s only so much you can do from there. So, within these parameters, alternate the approach: Stick with colors like navy, black, and white or push your boundary just slightly with a royal blue, burgundy, or emerald hue. Mankles – or simply wearing shoes without any socks – often look awkward. Cropped pants, on the other hand, flip that around: When you’re intentionally showing some ankle, why should your socks be partially obscuring them? Plus, they dim the allure that you’re so close to the ocean, all you have to do is take your shoes off. That said, certain footwear styles are off the table: Avoid any specific active footwear, while boots tall enough to cover your ankles and then some end up being pointless. Between these two, a pair of slip-ons complements the pants’ fairly casual character, with leather giving them a dressier angle. True sneakers, such as a set of lace-up canvas shoes, also work, assuming you keep the silhouette low cut. For the strict menswear aficionado, cropped pants seem firmly planted in Pitti Uomo street shots. You can practically see one of those confident, fashion-forward men matching them with a buttoned, unstructured blazer and contrasting, tucked-in button-down – loafers necessary, sunglasses optional. Yet, while the ever-essential Fashion Week makes both a serviceable starting spot and pure aspiration, it’s far from your only option. Take the blazer off and replace it with a bomber, or even untuck your shirt, and swipe out the loafers for a set of white lace-up kicks. Feeling ultra-informal? Cropped pants add a variable to your chinos, denim jacket, and plain white tee ensemble that’s comfortable enough to walk around the city yet without an ounce of athleisure included.